A classic pizza Margherita is sublime, no doubt. But the fun of homemade pizza is the creativity it allows the cook; it’s a risk-free opportunity to play with flavors, use up leftovers and invent something all your own. Think of a pizza crust as a tabula rasa for whatever ingredients you have on hand. A smear of olive oil or bacon fat (or homemade sauce, if you’re feeling energetic), a few ounces of cheese, a couple slices of charcuterie or a handful of chopped vegetables, and you’re done. 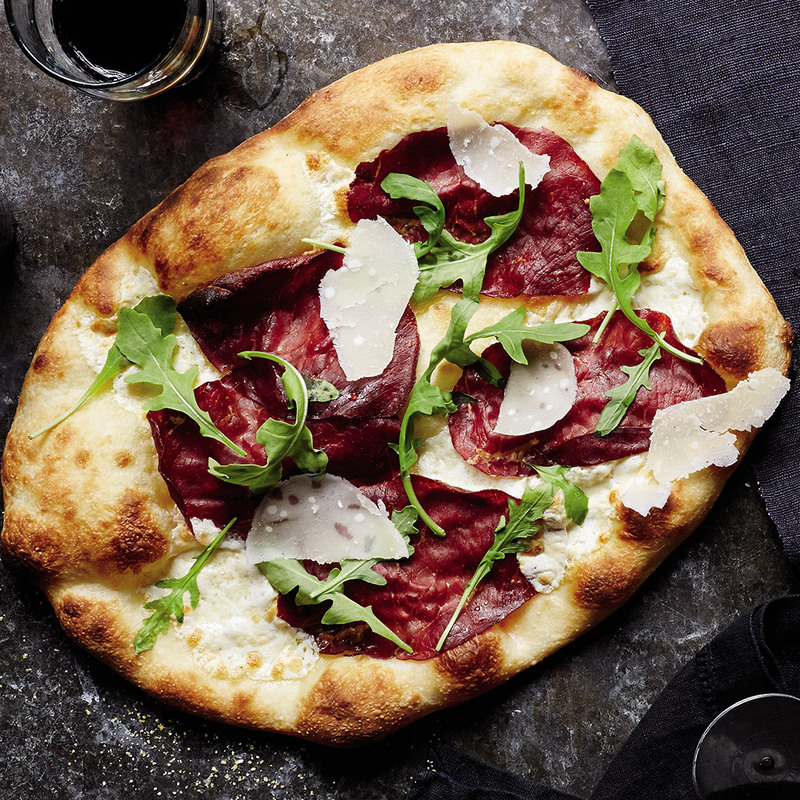 Great pizza doesn’t need much—just the imagination of the cook and a really hot oven. 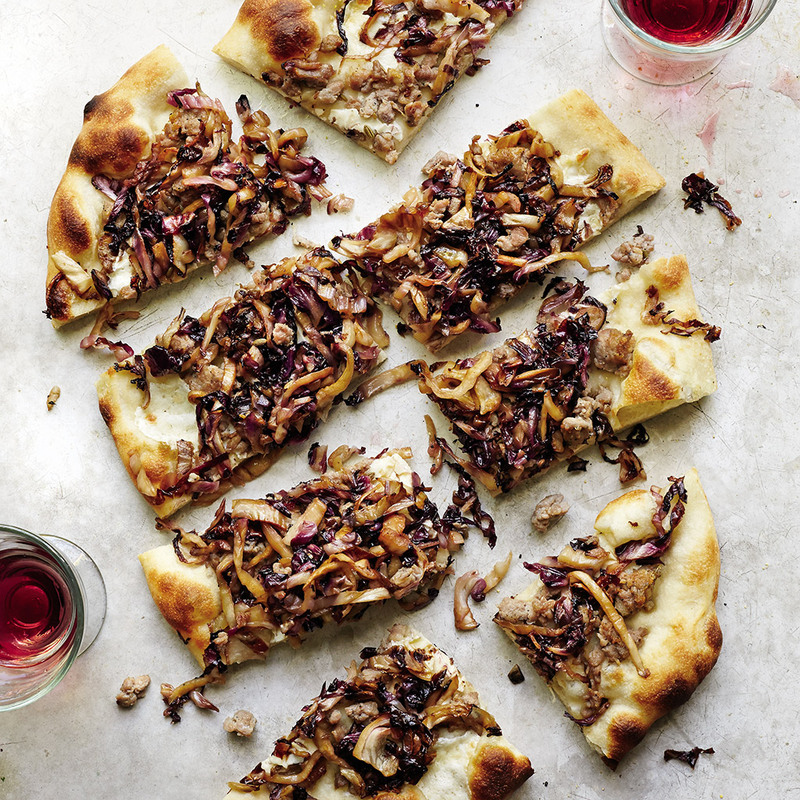 Buy your copy of Suzanne Lenzer's new book Truly Madly Pizza here. This is my go-to Monday night pizza because it asks so little of the cook after a long day (you don’t even need a knife, just a vegetable peeler for the cheese) and the flavors ricochet off one another in an almost heartbreakingly perfect way. Chiffon-thin cured beef, spicy greens, nutty Parmesan and an essential squeeze of citrus make me feel like I’ve been teleported to Rome for dinner. 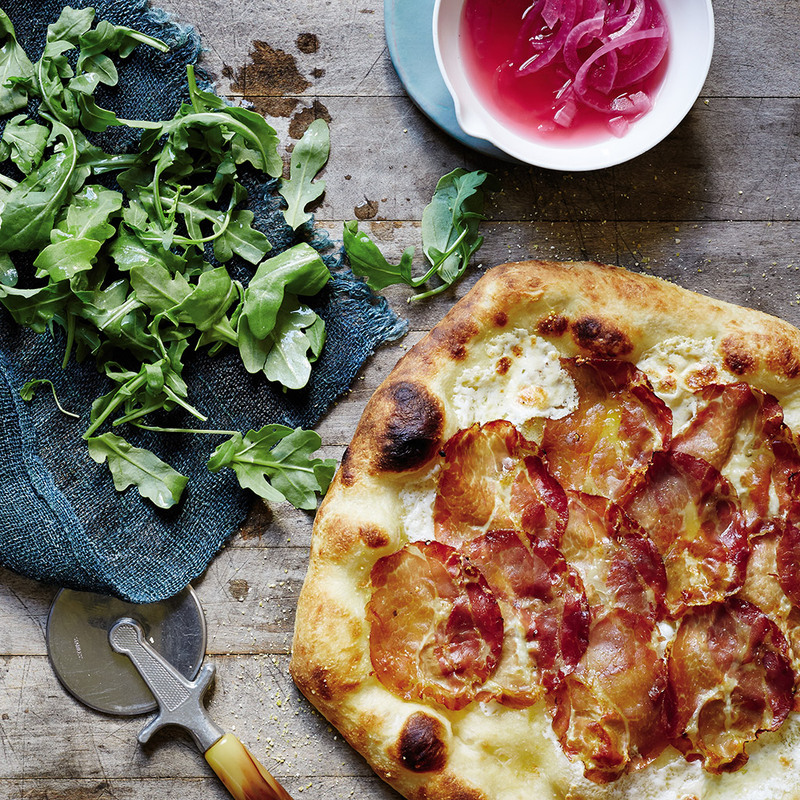 Paired with spicy arugula and smoky coppa (or any other cured meat you like), these pickled onions take mere minutes to make and add a wildly satisfying and surprising tang to pizza—and they’re pretty to boot. Save the leftovers for taco night. 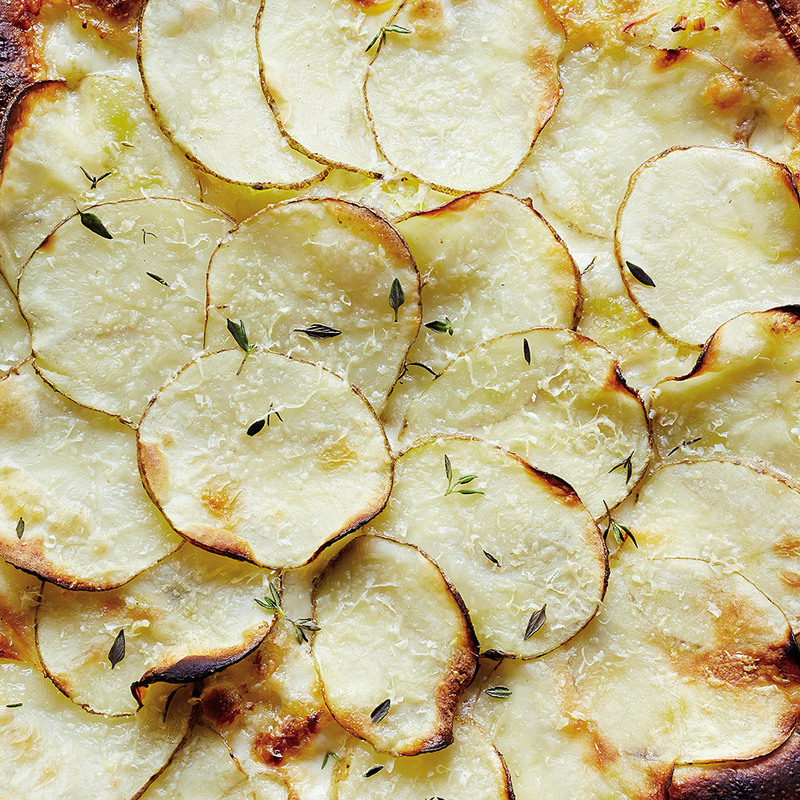 By midweek, I’m ready for flavors that soothe: a pizza with buttery leeks, creamy potatoes and the pungent bite of a good stinky cheese, and the world feels calmer already. 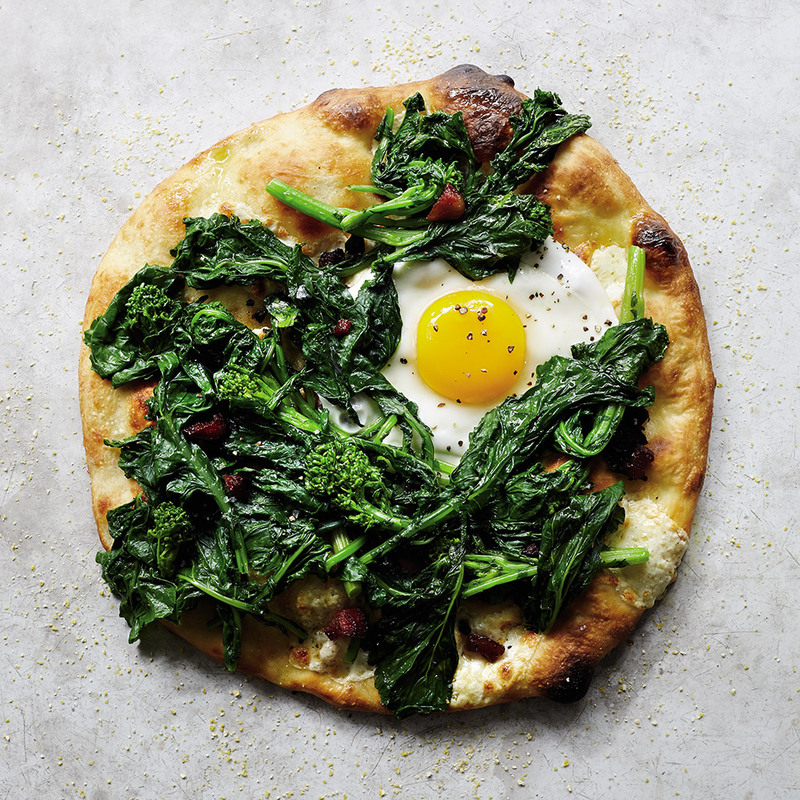 I adore the barely-bitter flavor of broccoli rabe, especially when it’s paired with sweet soppessata and draped with a perfectly cooked egg (or two). Something about how the shreds of radicchio get tangled up with the syrupy balsamic and how these demure-looking little bundles secretly scream with flavor makes this a perfect way to punctuate the week. 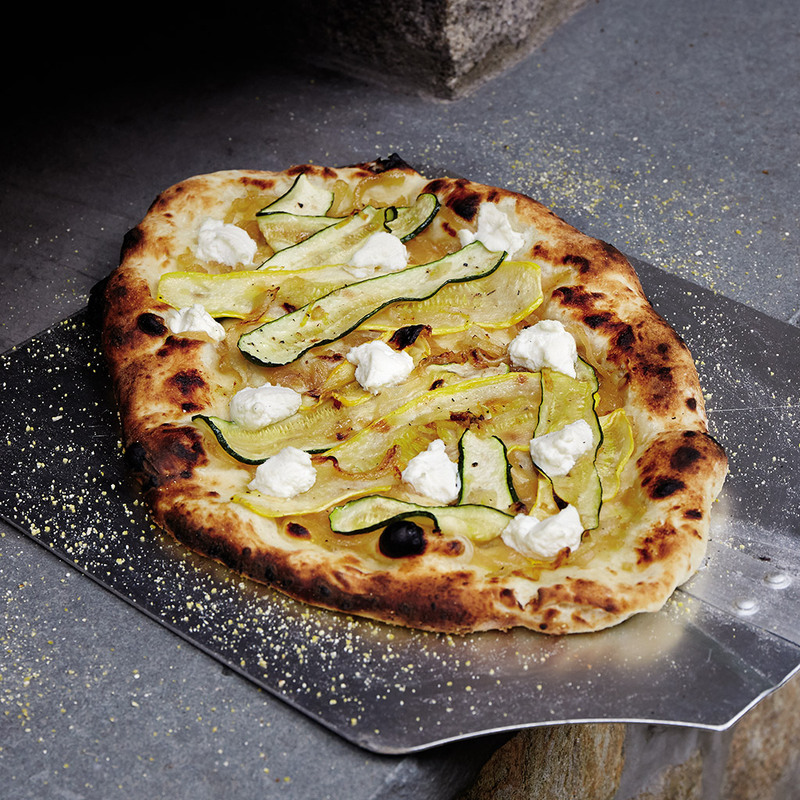 Think of this as summer on a crust: chiffon-thin slices of squash draped over caramelized onions with dollops of ricotta and a burst of citrus. What’s not to love? 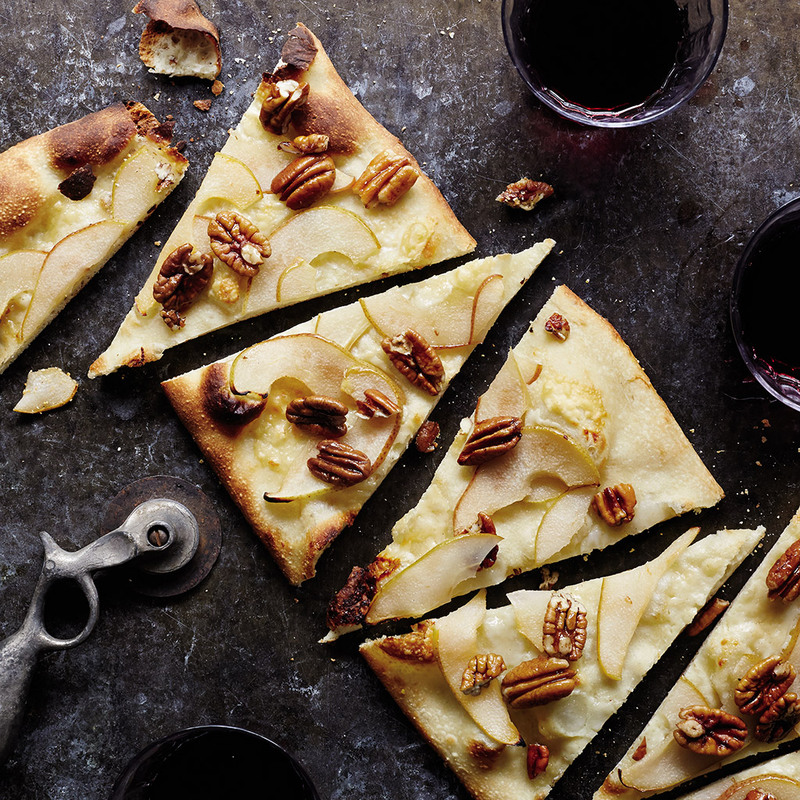 Mealtime is variable on Sunday, so a pizza that can double as breakfast, brunch or even dessert is kind of fun—the salty, savory pecorino against the sweet pears calls for little more than a glass of wine and good company.